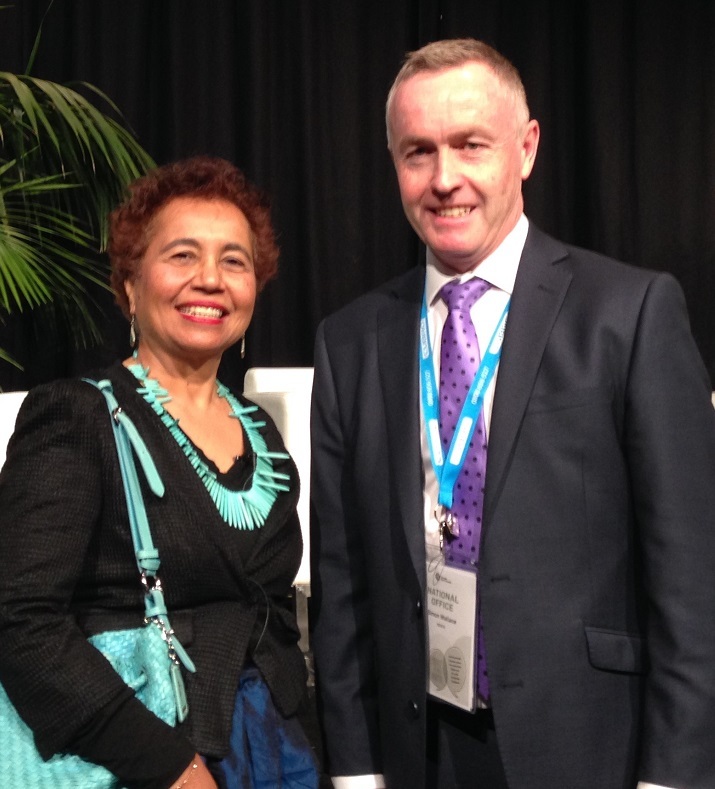 Professor Edwina Pio, University Director of Diversity, was part of the diversity and inclusion in the workplace panel at the recent New Zealand Aged Care Conference on 11-13 September 2018. The panel, consisting of experts from within and beyond the aged industry, discussed how the aged care sector can engage and work productively with migrants and enhance relationships with all employees, while delivering quality care for residents. They discussed some of the biggest challenges faced in working with migrants such as values and expectations. They considered how a culturally diverse workforce is received by the aged care residents and shared some examples of how migrant staff do wonderful and valued work. Edwina spoke about the hetereogeneity among the migrant population of aged care workers and the critical importance of appropriate cultural competencies at work for ensuring a welcoming and caring organisational culture. She stressed the importance of the changing demography of New Zealand's work force and brought a strategic focus to the discussion based on her research and publications on migrants at work in New Zealand. Read more about diversity in the aged care workplace.